Chuck Norris is coming to mobile gaming with "Nonstop Chuck Norris"
When you’ve been a seven-time world karate champion, gone toe to toe with Bruce Lee as part of a distinguished movie career, and been the subject of thousands of Internet memes relating to your super-human powers, it’s fair to say you’ve won at life. But to celebrate his 77th birthday, action hero Chuck Norris has ticked off another achievement by getting a video game company to make a mobile game…about himself! The team behind this action-packed new adventure is flaregames, a mobile gaming publisher based in Karlsruhe, Germany. 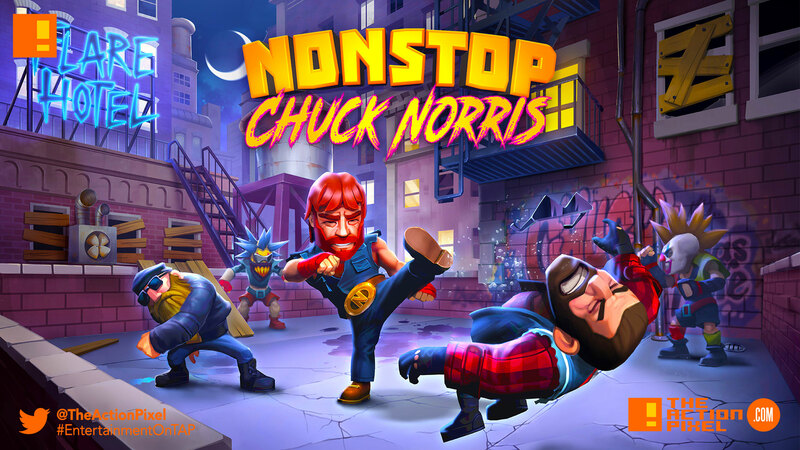 Nonstop Chuck Norris will be available to download in April. Ad as we have always imagined, Norris knows how to conduct business the right way. Keep that in mind when when you go to your next interview youngin’s. Or if you have developer problems.